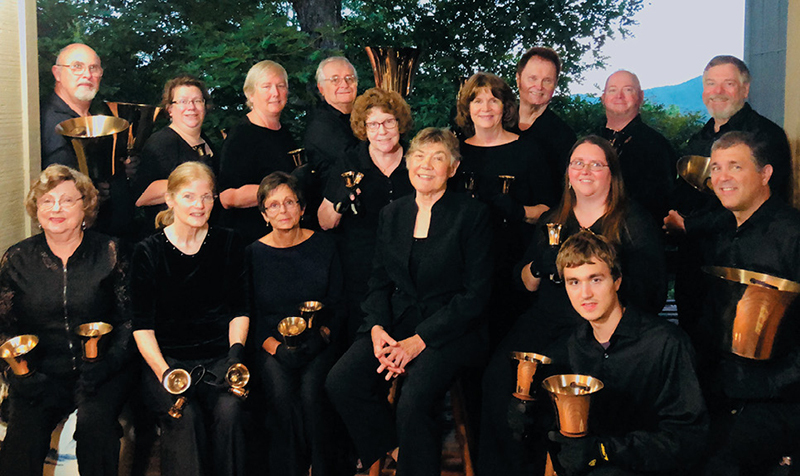 Just before people start ringing in the New Year, a devoted group of handbell players will chime in with a delightful round of cozy Christmas concerts. The Brasstown Ringers, a quarter-century-old group based in Clay and Cherokee counties, will bring their abiding affection for these soft-sounding bells to a series of shows that, for many fans, is the sound of Christmas itself. Listeners can expect the kinds of music they crave during the holidays—carols such as “We Three Kings” and pop classics such as Elvis’ “Blue Christmas.” There will be a jazzy medley of “Up on the Rooftop” and “Jolly Old Saint Nicholas” and many other festive songs, ensemble director Pat Meinecke says. The ringers’ choreographed movements are partly why the Christmas concerts enchant listeners, she says. And the play of light along the rims of the bells as they’re struck lends to the magic.